Welcome to CLP’s Current Events: The Plight of Puerto Rico. If a picture is worth a thousand words, then this week’s News Sources have more than 9,000 words. See the pictures and graphics that launch this week’s discussion on the plight of Puerto Rico after the devastation of Hurricane Maria. The island of Puerto Rico was devastated by the worst hurricane in its history nearly two weeks ago. The people of Puerto Rico are United States citizens. Puerto Rico is a possession of the United States. It is a U.S. territory. But it is an unincorporated territory, and it has not been incorporated into the U.S. Therefore, it is not a part of the United States. Puerto Rico, U.S. Territory. Puerto Rico is a Caribbean island and unincorporated U.S. territory with a landscape of mountains, waterfalls and rainforest. San Juan, the capital and largest city, is known for its hotel strip, beach bars, casinos, and Old San Juan featuring Spanish colonial buildings and massive, centuries-old fortresses. What does Puerto Rico’s recovery look like two weeks after Maria? Part of the reason Puerto Rico’s recovery has been slowed is the island’s reliance on air and sea ports to bring fuel, water and food. Runways needed to be cleared of debris and supplies were stuck in the island’s ports because of a US law that limits shipping between parts of the US to US-flagged vessels. Puerto Rico pressed the US to lift the act, and President Trump waived the act for 10 days to help with the recovery. Among the most lingering dangers of the hurricane is the lack of clean water on the island, a figure that rose over the weekend to more than half of the island’s population. Public health experts worry that this problem will make the weeks after the storm more deadly as sanitary conditions worsen. While agriculture is no longer a primary driver of Puerto Rico’s economy, the destruction of the vast majority of crops on the island means growers in the coffee, plantains and other popular agricultural industries have lost their entire livelihoods in a single storm. Loss of crops also means Puerto Ricans will need to import more of their food, an effort made more complicated by the nearby exporting countries in the Caribbean who have also been hit by hurricanes. 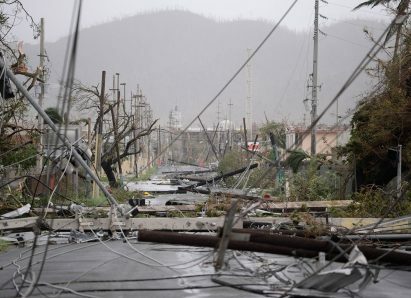 The storm knocked much of Puerto’s Rico communications infrastructure, splitting a crucial link between family members that live in the continental US and on the island, as well as mobile phone networks that could be used to organize the recovery response. Rebuilding the mobile phone network is expected to take at least weeks, if not months. Residents of Puerto Rico are American citizens, although they have no voting representative in Congress and cannot send electors to vote in US presidential races. Only about half of mainland Americans in a recent poll know Puerto Ricans are fellow Americans. In a survey, knowledge of their citizenship meant respondents were slightly more likely to support relief aid. 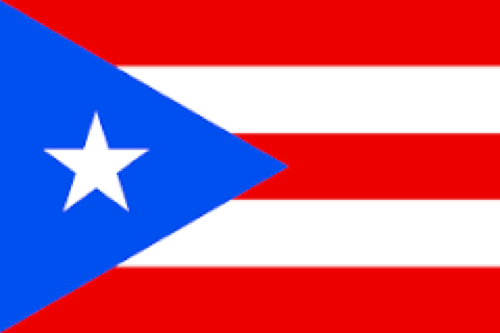 What is the legal status of Puerto Rico? What is its connection to the United States? Is statehood a possibility for Puerto Rico? What are the arguments pro and con for statehood? Which of three options would Puerto Rico prefer: Statehood, Independence or sovereign free associated state? Which institutions are tasked with readiness and recovery after a natural disaster like Maria? What is the role of the President in a disaster? What is the role of the Federal Emergency Management Agency? What is the role of the territorial government? 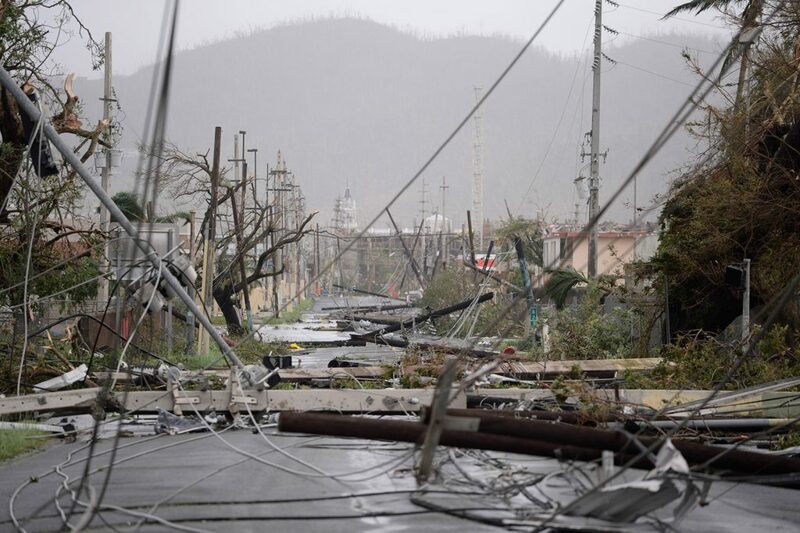 What are the current conditions in Puerto Rico (and the US Virgin Islands)? What does the loss of basics such as food, water, medicine, electricity, fuel and shelter mean to Puerto Rico? Why are resources not getting to the people of Puerto Rico? How long can Puerto Rico tolerate this emergency? Who can fix this? How does the economic collapse in Puerto Rico affect both recovery from Maria and its relationship with the United States? What is Puerto Rico’s relationship to the United States? How did it come about? How was the destiny of Puerto Rico incidental to other objectives of the Spanish American War? What does this mean for Puerto Ricans, themselves? When did migration from Puerto Rico to New York begin? What was Operation Bootstrap? How were the Puerto Ricans of New York, particularly youth, portrayed in the 1950s? What were the pros and cons of the smash hit, West Side Story, for this community? What was Herman Badillo able to accomplish? Who are “Nuyoricans”? What are some of the current issues and main actors in the debate over voting rights? Literacy tests may not be one of the tactics to control who has access to the ballot box today, but there are other measures being used and under debate. What practices do states use today to determine who can vote and when? How do different factions see the use of these measures? How will history view the actions of today, compared with those of the era of Herman Badillo and the Voting Rights Act? Yes. Under Section 302 of the Immigration and Nationality Act, people born in Puerto Rico have the same birthright American citizenship as people born in the 50 states. Can they vote in national elections? You might think so, given that they are citizens, but on the biggest stage, the answer is no. Puerto Rico has no representation in the Electoral College, so its people cannot vote in general presidential elections unless they establish residency in one of the 50 states. What is Puerto Rico’s relationship to the United States, exactly? Puerto Rico is a commonwealth of the United States. This is the same legal status held by the Northern Mariana Islands, and confers similar rights to those of unincorporated territories like Guam and the United States Virgin Islands. Why isn’t it a state? There is a longstanding statehood movement in Puerto Rico, and five referendums have been held on the subject. In the most recent one, which was held in June and had very low turnout, 97 percent of the votes cast were in favor of statehood. The referendum was nonbinding, however, and it is ultimately up to Congress to decide whether to admit Puerto Rico as a state. Essential question: What is the government’s role in helping citizens after an extreme weather event? What is a territory? 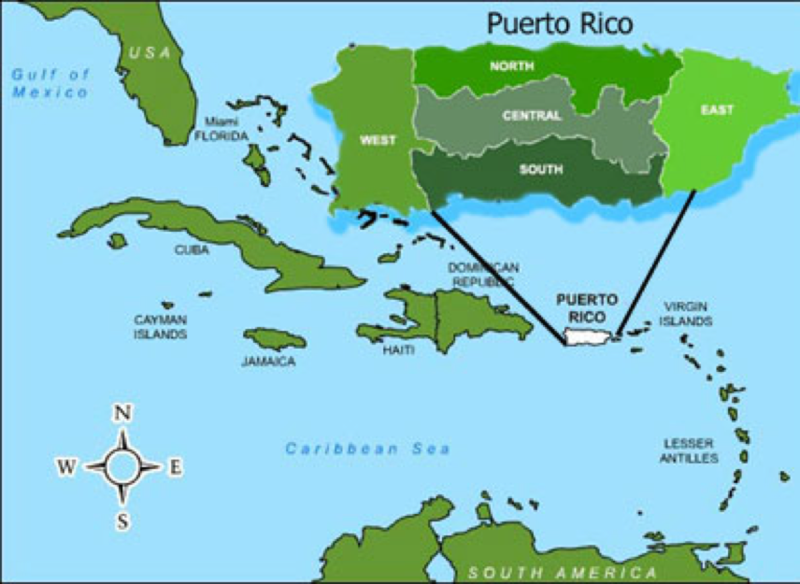 Do you think most people who live in the continental United States are aware that Puerto Ricans are U.S. citizens and that the island of Puerto Rico is part of the U.S.? If you answered ‘no’ or aren’t sure, why do you think that is? Why is military involvement often necessary following extreme weather events? What does it mean when you hear of major events becoming ‘politicized’? Media literacy question: Interview choices for a news story are a key part of media literacy. Why do you think the reporter chose to interview Lt. General Jeffrey S. Buchanan? Who else might the reporter interview in future pieces? CLP: See also Extension III: Voting Rights from this lesson which makes connections with literacy tests, Puerto Ricans and others. CLP: video used to prompt discussion; questions also found in above Questions to Consider. CLP: Series of lessons using video clips including excellent questions. CLP: important distinctions between commonwealth, independence, and statehood. The Jones Act Waiver Was Supposed to Help Puerto Rico. So Where Are the Ships? CLP: Oregonians form non-profit to help Puerto Ricans. HS.6 Analyze ideas critical to the understanding of history, including, but not limited to: populism, progressivism, isolationism, imperialism, communism, environmentalism, liberalism, fundamentalism, racism, ageism, classism, conservatism, cultural diversity, feminism, and sustainability. HS.14 Create and use maps, technology, imagery and other geographical representations to extrapolate and interpret geographical data. HS.27 Examine functions a process of Untied States government.